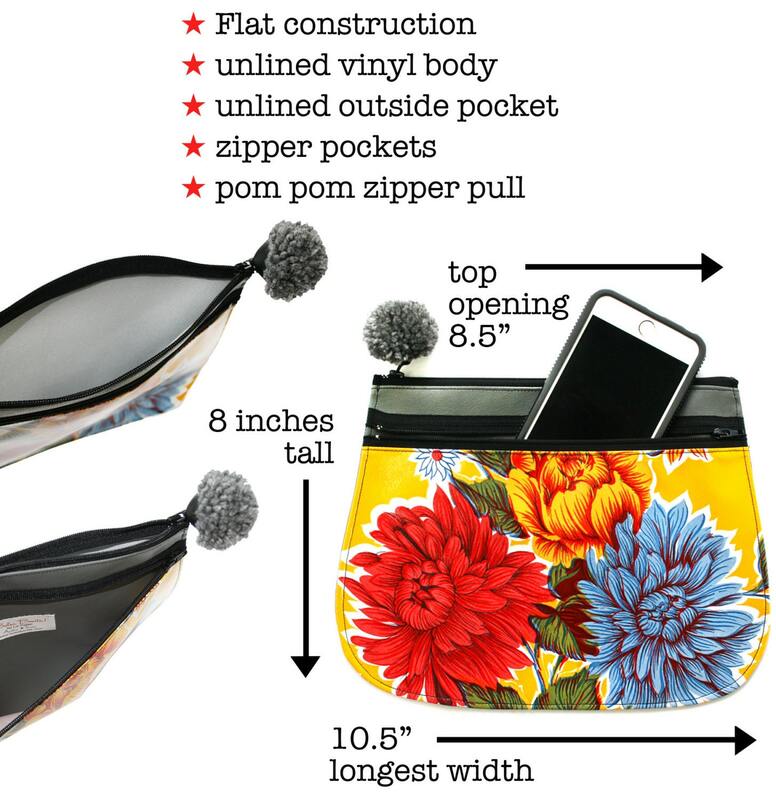 All vinyl, flat, zipper topped clutch that is so stinkin' cute you'll want to be a clutch person if you're not already. 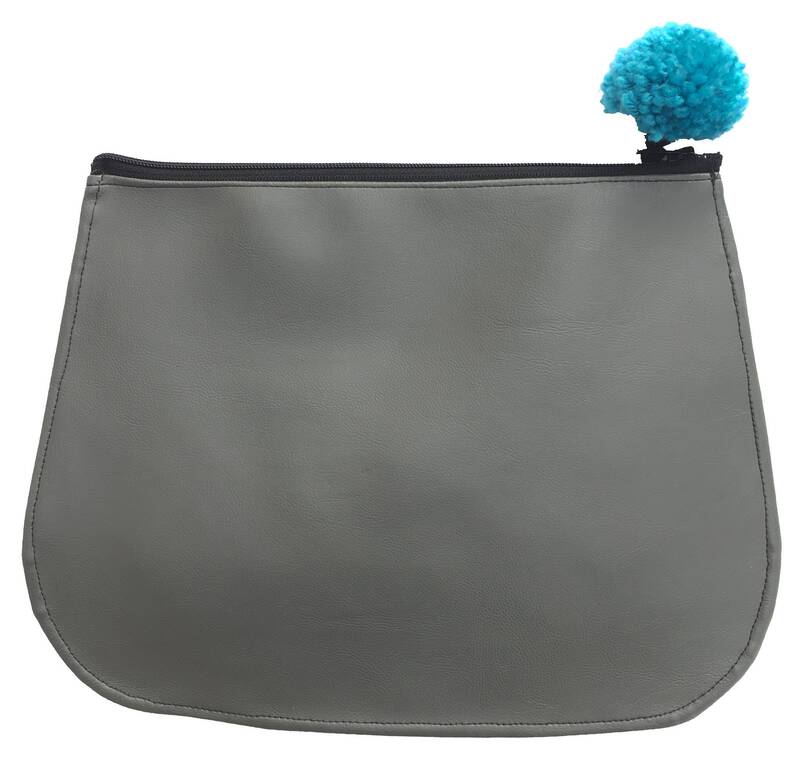 This is a great going out bag because you can put the necessities inside and not worry about anything spilling on it, or being caught in the rain because it's vinyl and can be wiped off with a cloth! 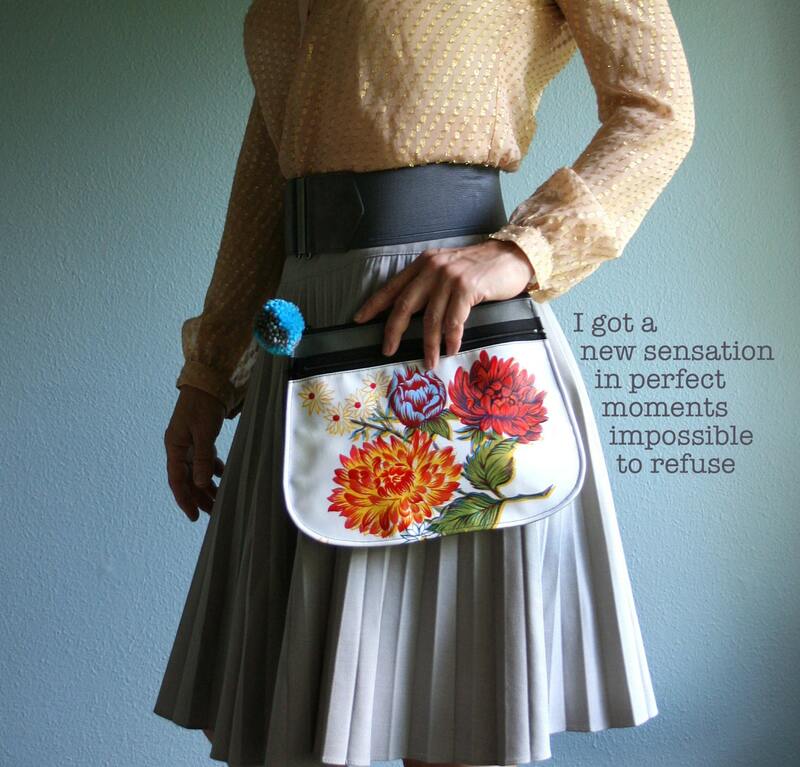 The body of this bag is made with vegan leather (aka: vinyl) and has a 8.5 inch zipper opening at the top. It's unlined but finished off so there are no seams showing inside. 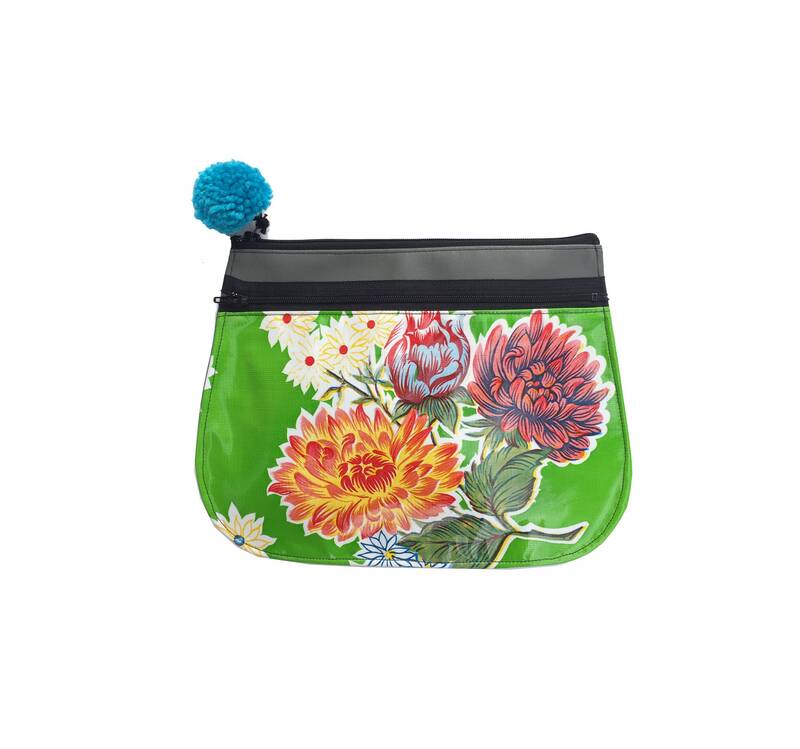 The outside pocket is made with a bright, floral oil cloth (a thinner vinyl), and zips shut with a 8.5" zipper. Also unlined.